I wanted to start a blog when I first started to receive my ipsy bags. I saw online many reviews of the products that others got, and wanted to review the ones I got too. Ipsy is one of the monthly subscriptions that makeup lovers can subscribe to. Ipsy's website allows you to fill out your personalized beauty quiz and you can specify which products you don't like, along with your makeup style, such as classic, adventurous and more. Although they cannot guarantee you will not receive a product you didn't want, your reviews will help assist them in finding a bag that is closer to your preferences. Once you receive your monthly glam bag, you can rate the products you received on their website which earns you points that you can redeem for full sized products! The bags I have received since November have all been worth more than $15 a month. I love the fact that I can try new products every month, especially brands we may not carry in Canada. The bag itself is gold with a pink zipper. I didn't think I would ever use it, but I recently brought it with me on my vacation and used it as a clutch. It held a good amount of things, so I was impressed! Each month you are sent 4-6 samples. For November, Ipsy sent out 6 samples, both in full size and sample sizes. 1. EM Michelle Phan - Lash Gallery Mascara - in Clean Volume Mascara (black). Inspired by the girl who likes to flirt with her eyes. Give your lashes clean, fresh volume without clumps. 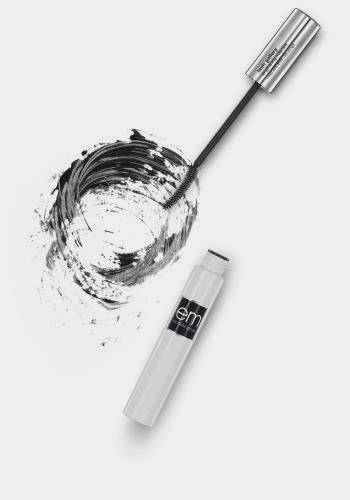 Uniquely-designed, fluffy brush sweeps on buildable volume for clean, natural lashes. em tip: wiggle the fluffy brush between lashes for a soft, flirty effect. It does provide some volume, but I prefer other mascaras over this one. I did like the brush that was included though. This was sent as a full size sample, which retails for $16.00! 2. Be a Bombshell - Lip Crayon - in Shameless. I wasn't too thrilled with the colour. It's a little darker then what I would usually wear. I like the little sparkle and the colour does stay. It also goes on smooth. The pencil is a good change from the typical lipstick case. The picture makes it look purple, but its more pink. It is more of a berry colour. This was sent as a full size sample, which retails for $14.00! 3. 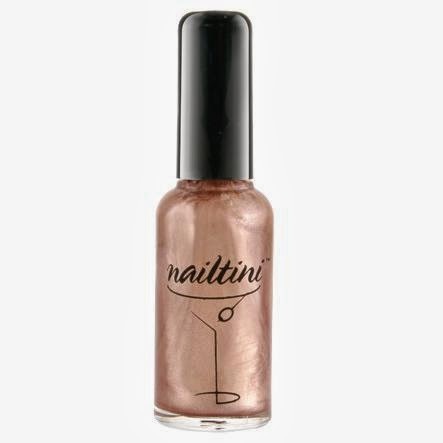 Nailtini - Straight Up Color Nail Lacquer - in Champagne. Just one of Nailtini's top-shelf, 3-free nail lacquer, available in dozens of shades, textures and finishes. Wear them alone or layered to create custom looks and effects, each one a cocktail unto itself. Cheers to beauty, and as always, apply responsibly! I really wanted this in the silver colour. But after applying the polish, the colour really grew on me. The formula isn't thick, and is sheer with a thin coat. I still reach for it when I feel like painting my nails with something different from my typical pinks and purples. This was sent as a full size sample, which retails for $13.00! 4. 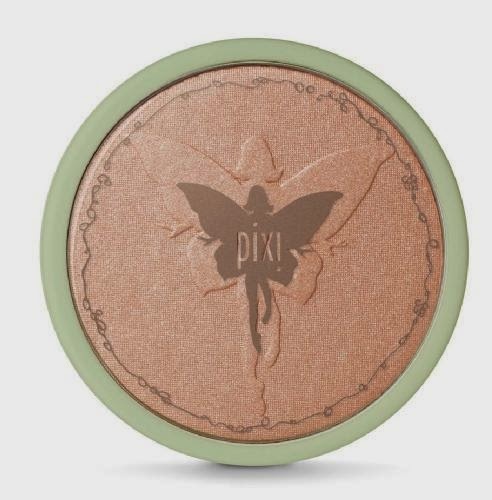 Pixi Beauty - Bronzer - in Subtly Suntouched. I don't use bronzer, so I was hoping I wouldn't get this one in my bag. I tried it, and its too dark for my skin tone. It's okay as an eyeshadow. I don't find myself ever reaching for it though. Maybe once the summer comes, and I possibly get a tan, then I could see myself eventually using this. We were sent a sample size for this. The full size is 0.36oz and retails for $18.00, and comes with kabuki brush. 5. 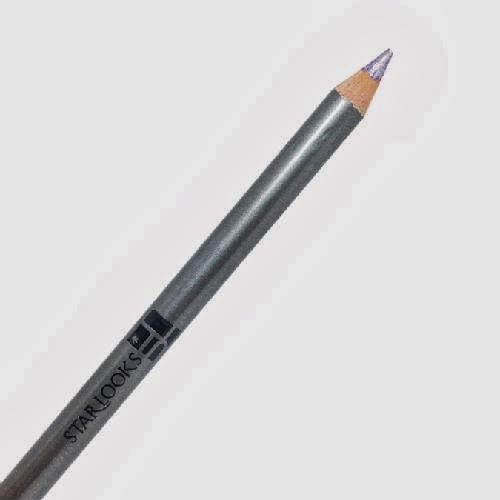 Starlooks - Gem Eye Pencil - in Amethyst. The colour is a little more on the silver side, and has a lot of sparkle to it. I really like this pencil and have used it quite a few times. I use more black liner, so this is a good change. It also goes on really smooth and doesn't tend to run. We received this in a full size sample, which retails for $14.00! 6. 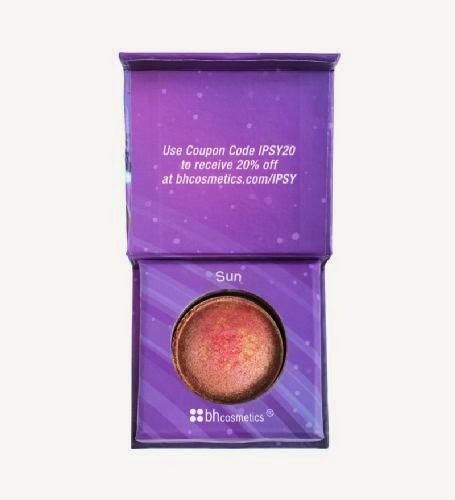 BH Cosmetics - Galaxy Chic Baked Eyeshadow - in Sun. This Galaxy Chic Baked Eyeshadow Sample will take you from Plain Jane to an infinite trendsetter. Inspired by the moons and planets of the universe, eyeshadow shades range from hot sun-orange to cool earth-blue and colors of the Milky Way. Be as chic as a sparkling star! I had never heard of the company until I saw I was getting this in my glam bag. I loved the look of this eyeshadow in the packaging. I like how its multicoloured, with a marble look. However, I hate the colour I was sent. I would never wear red eyeshadow. I did swatch it, and it does go on nicely, but I will never wear it. We received a sample size of this eyeshadow. The full size is actually sold as a palette, and retails for $22.95. Overall, I was really impressed with my first ipsy glam bag! The first bag I received had a larger amount of samples than they usually send, and a majority of them were full sized. 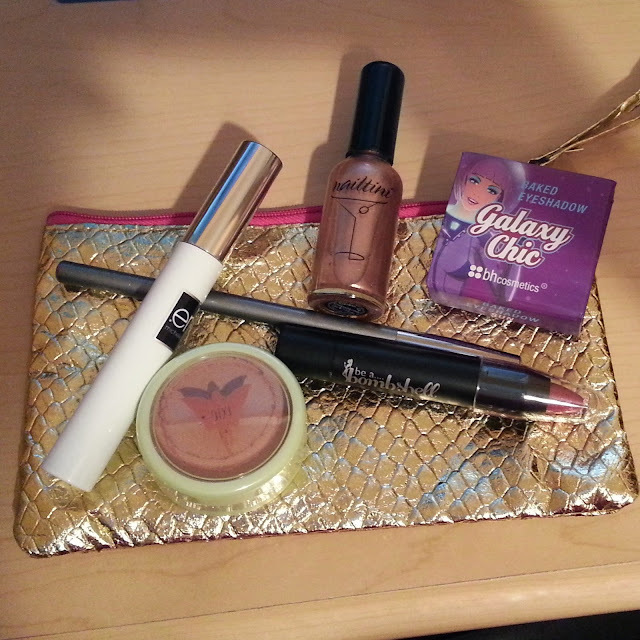 I couldn't wait for November to end so I could see the sneak peaks for December's glam bag!